This is video baseball the way it was always meant to be played. 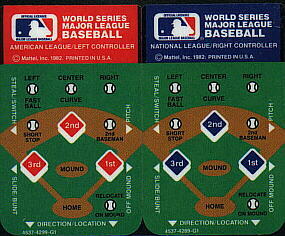 You´re in the WORLD SERIES with baseball players presenting both the American and National leagues. You control all the action. Make those tough decisions between great fielders and great hitters. On defense, mix up the pitches - fast balls, curve balls, inside, outside, or "down the pipe". If your pitcher is "bushed" after the fifth, go to your bullpen. An inset lets you keep track of your leading baserunner. 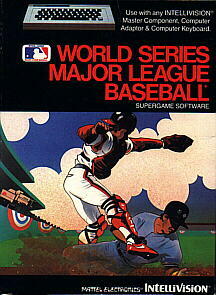 Steal home and you´ll know that this isn´t any ordinary video baseball game - it´s WORLD SERIES MAJOR LEAGUE BASEBALL.